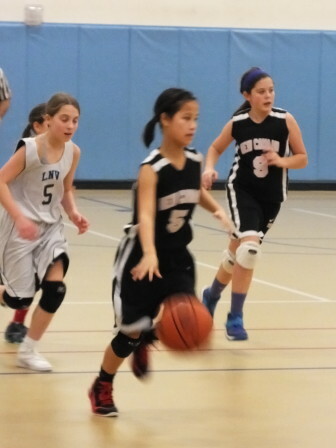 New Canaan 6th grade girls basketball team beat Weston 25-15 in an away match on Saturday. The first three baskets were all 3-pointers—two from Julia Bazata and one from Quinn McKiernan, an effort bolstered by tight defense by Emma Gibbens, Brynne Harris and Tyler Towers. McKiernan followed with two more baskets to end the first half, one from a drive to the basket and a second from a give and go by Olivia West. At the half, New Canaan led 13-2. The second half started with more New Canaan scoring, with consecutive baskets by Marlee Smith, Chloe Reidy and Cameron Murphy. Weston finally started putting points on the board, but strong offensive rebounding by Elizabeth St. George and Towers. 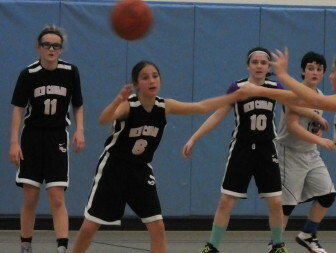 Weston made a run late in the fourth but it was too late, and the girls held on for the win. 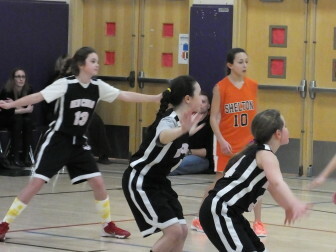 New Canaan 6th grade girls continued to play strong on Sunday against St. Mary’s. 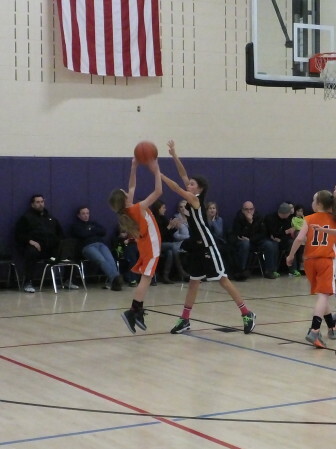 Quinn McKiernan started the scoring with a nice basket assisted by Chloe Reidy. McKiernan then dished to Julia Bazata underneath to put New Canaan ahead 4-2. St Mary’s answered and led at the end of the quarter by two, but the strong rebounding by Emma Gibbens, Reidy, Elizabeth St. George and Olivia West kept the team in the game. New Canaan turned up the offense in the second quarter. West grabbed a key rebound and put the ball up for a basket to knot the score at six all. Cameron Murphy scored on a nice outside shot from an inbound pass from Gibbens, then Bazata came up with a steal, made a quick pass to Marlee Smith for a breakaway layup. Smith would score another layup on a pass from McKiernan giving New Canaan a 4-point lead going into the half. Strong rebounding and steals from Brynne Harris, Murphy, Tyler Towers, and West would hold St. Mary’s to just two points. The third quarter was a defensive battle. New Canaan scored by the end of the quarter from an outside shot by Gibbens and Reidy also contributed on a free throw. The team shut down St. Mary’s offense and kept them scoreless with strong defense from Harris along with blocked shots from Towers. New Canaan went on a 9-point run in the fourth. St. George scored two on a free throw conversion, Gibbens scored underneath from an inbound pass from McKiernan, and West scored off a free throw. 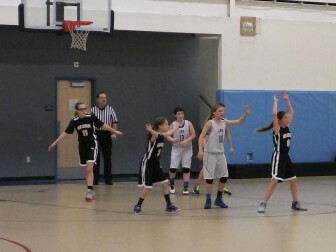 Gibbens would end the game with an offensive rebound and basket to secure the team win.